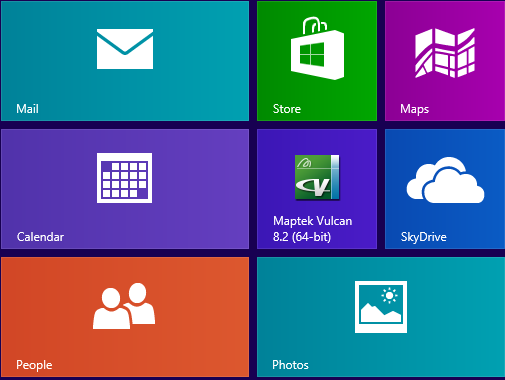 I recently had the chance to try out Vulcan on the new Windows 8 operating system. I was especially interested to give it a go when the IT guy said that he was seeing performance improvements over the old Windows 7 OS. Installation of Maptek Vulcan 8.2 went as expected. There were a million confirmation windows and I had to go searching for the right license file but I eventually got everything installed and running. For the performance tests I copied all my data to a local drive so that there would be no network issues with timing the results. I didn't have a huge amount of time to extensively test the two operating systems so I can't vouch for every detail of how they interact with each other but I did perform some tests that I use every day. I timed the operating systems opening design databases, triangulations, chronos workbooks and loaded layers and block model slices. For most of the tests the results were very similar which is kind of a win for Windows 8. The test machine with the new operating system seems to be a machine that IT had lying around. It is an old desktop with an i3 processor. It would be fine for most office work but it doesn't hold a candle to my laptop running an i7 processor with 16 GB ram and 2GB of dedicated memory on the graphics card. This is a nice laptop and has always run Vulcan very well so to have it perform at roughly the same level as the test desktop was a little surprising. There was one test where the Windows 8 machine outperformed my laptop: loading layers. Not to be outperformed by an old i3 desktop, I brought the data back to my office and loaded everything on my Cyberpower desktop. This is truly a monster machine. It has 64GB ram and a top of the line i7 processor. I don't want to brag, but it has a Windows experience index of 7.8 out of a possible 7.9. There are faster machines on the planet but most of them are working as servers. The Cyberpower machine beat the i3 desktop at loading layers in Vulcan even though it was only using Windows 7 but it was a case of extreme overkill. 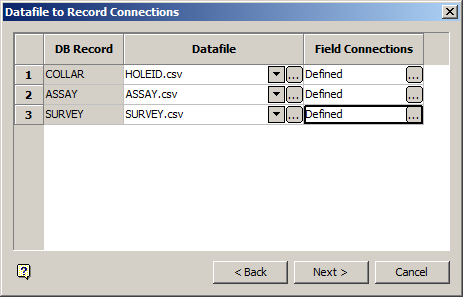 I haven't checked the accuracy of number crunching using the new Windows 8 OS but I would be happy to run Maptek Vulcan on this new operating system.